Etching, Anonymous, possibly by Master I.♀.V. ?, 28.3 x 35.8 S (London). Bartsch, XVI, 1818, 381, 13, as Anonymous, School of Fontainebleau, after Rosso. Herbet, V, 1902, 62 (1969, 214), 14, as Anonymous, after Rosso, perhaps by Mignon. Levron, 1941, 65, 4, as Boyvin after Rosso. COLLECTION: London, 1850-5-27-47, inscribed in ink at the lower right: Rosso. Kusenberg, 1931, 168, as Anonymous, after Rosso. Zerner, in EdF, 1972, 330, no. 431, as Anonymous, around 1545, perhaps by Master G. R. and probably after Rosso. Zerner, IB, 33, 1979, 290 (London). Borea, 1980, 263, no. 679, 265, Fig. (London), as Anonymous, almost certainly after Rosso. Carroll, 1987, 46, 328-329, no. 103, with Fig. (London). Boorsch, 1988, 9, seems a good possibility that it is by Master I.♀.V. 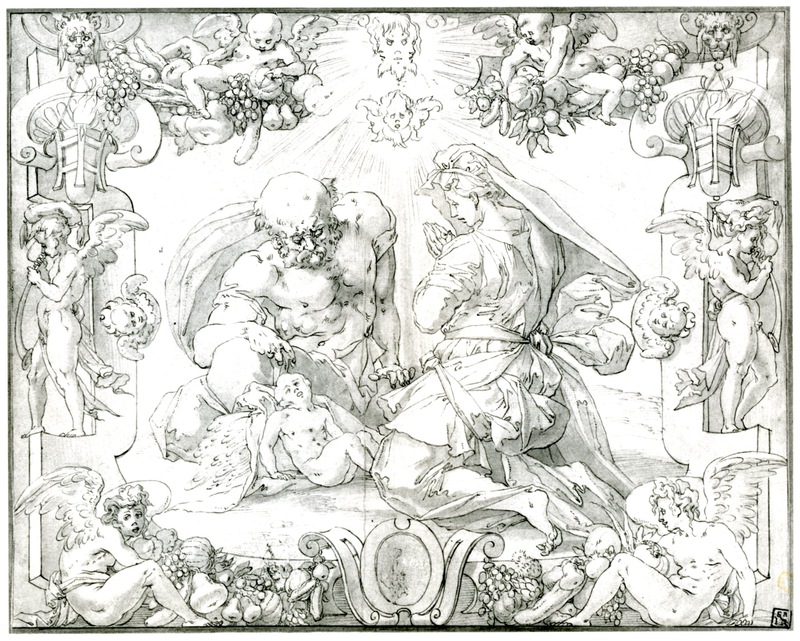 This etching is based on Rosso’s lost drawing in reverse known from three copies (D.75A-C), or it is based on one of those copies, which are the same size as the print (Fig.D.75C). 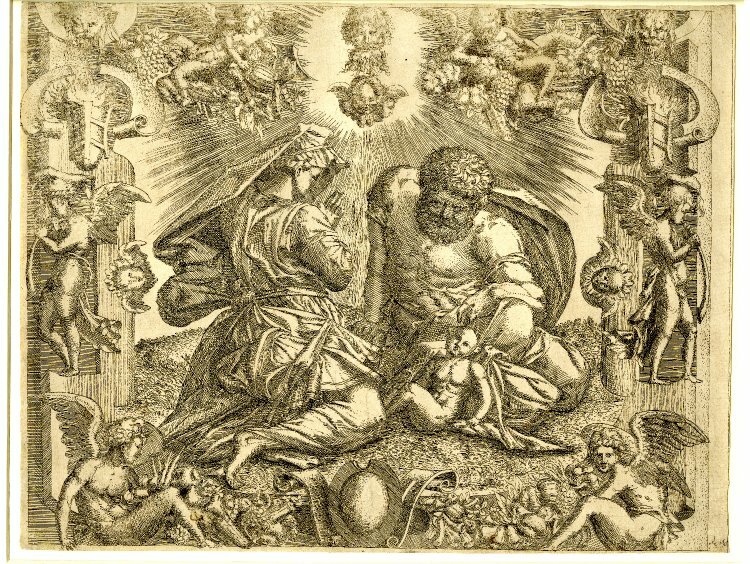 However, the London copy is dated 1567 and hence would not have been the drawing used if the print was done around 1545, as Zerner has suggested. 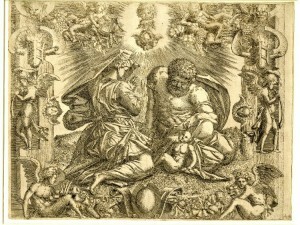 The major differences of the print are mentioned in the catalogue entry of the drawings. Minor differences in this etching are created by the high degree of specification of all details, such as the vegetation covering the ground. Technically, the print comes close to Mignon but does not seem to be by him. It is certainly not by the engraver Boyvin. I do not quite see its relation to the print by Master G. R. that Zerner recognized. Boorsch thought it might be by Master I.♀.V.